Fudge is something that everyone loves, no matter what their age. It’s a standard dessert option for moms because it is just so simple and uses such few ingredients to make. It’s also a great option for gift giving and a crowd pleaser too. If you want to win over your colleagues at a new job, bringing a batch of delicious homemade fudge is sure to get you noticed! The recipe for chocolate fudge is simple. Just mix up some butter, condensed milk and your favorite brand of dark or milk chocolate on low heat until everything is melted together. I like using dark chocolate since it gives a really nice intense flavor but you can use milk chocolate too. Now, pour the mixture into a pan lined with parchment paper and butter, and refrigerate for 2 hours or until set. Cut up into the right size and serve! Or pack into individual goody bags as a great homemade gift option. It doesn’t require a lot of time to make a batch of fudge. There are a few steps when it comes to this classic recipe and the ingredients needed aren’t too complicated either. But it is absolutely essential to control the temperature of the condensed milk on the stove, when mixing in the chocolate pieces. If you get the temperature wrong, you can easily burn the fudge and this treat can quickly turn into a disaster! One way to avoid this is to use heat intermittently. 30 seconds on, 30 seconds off the heat while stirring continuously. Another precaution to take when cooking fudge is to use the right kind of pan. You need something that not only gives even heat-up without any hot spots but is also equipped with stay-cool handles. When making fudge, you need to handle your pan and move it around. So, it’s essential to have a handle with a comfortable grip that does not heat up when on the stove. Here are my top picks for the best pans that can be used for making fudge. This stainless-steel saucepan by All-Clad comes with high, straight sides – perfect for heating liquids on a steady temperature. The 3-ply bonded stainless-steel construction consists of an aluminum core for even heating throughout. The cooking surface is highly polished with a ‘starburst’ finish that offers resistance to food sticking. The stainless steel won’t react you’re your food and is relatively easy to maintain due to its great build. 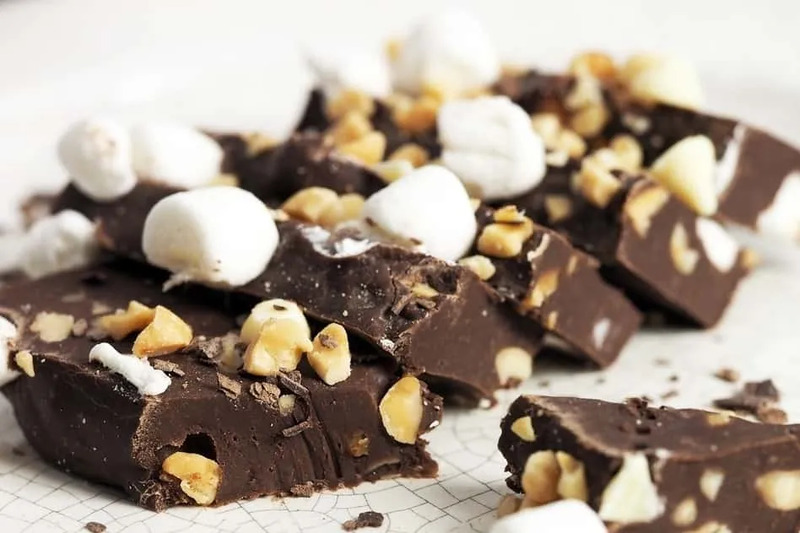 It’s safe to use in the oven and broiler up to 600 degrees Fahrenheit so you can use it for other things besides making a batch of fudge. It comes with a limited lifetime warranty. Cuisinart’s Stainless-Steel imported saucepan gives you unsurpassed heat distribution due to its aluminum encapsulated base. It spreads heat evenly and eliminates hot spots, making it easy to heat condensed milk on the stove for fudge. It has a classic mirror finish and gives a professional performance in your home kitchen. The stainless-steel cooking surface doesn’t stain or scratch and doesn’t react with food or alter flavors. It features a cool grip handle that lets you easily maneuver the pan around. The rim is tapered for drip-free pouring so you can easily transfer your fudge mixture into the baking pan to set. It also comes with a glass lid so you can use it to make sauces without the fear of evaporation. 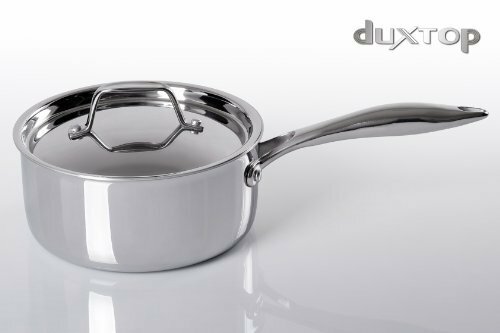 This 1.6-Quart saucepan from Secura Duxtop is made of magnetic stainless steel with an aluminum core. 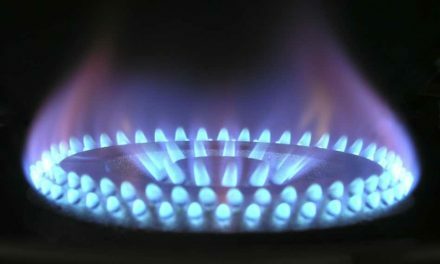 This not only gives it good heat control but also makes it suitable for induction stovetops. It has a classic straight-sided design and comes with a drip-free pouring design. The stay-cool stainless-steel perfect-grip handle is riveted to the pan to allow for comfortable handling and the stainless-steel lid with a loop handle helps keep in heat and moisture so you can use it for more than just making the perfect batch of fudge. It’s also dishwasher and oven safe and can take up to 550 degrees Fahrenheit of temperatures. It’s freezer safe so you can store food in it too and it comes with a lifetime limited warranty. 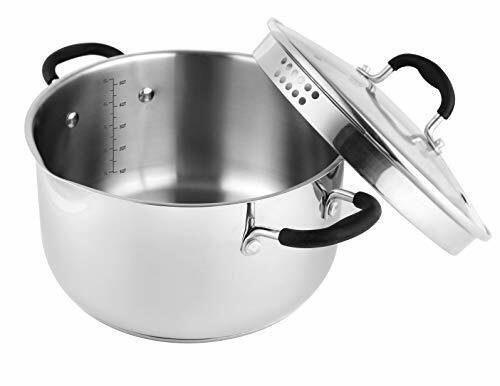 The Avacraft Stainless Steel 1.5-Quart saucepan is made with 18/10 food grade stainless steel, giving you peace of mind when it comes to food safety. The inside finish is a special matte that prevents scratches over time. The outside is a shiny mirror finish for a sleek and stylish look. 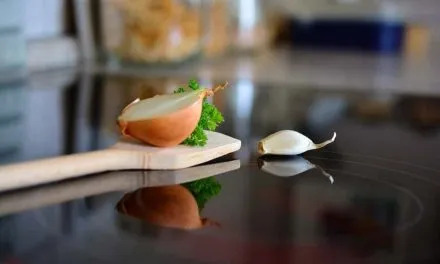 There are easy to read measurement marks inside the saucepan that make your cooking even more accurate. The best part of this saucepan is the lid. It is made of shatterproof glass and comes with straining holes on both sides. So you can use this beauty to strain pasta, noodles, vegetables and do more with it than just make fudge. There are pour spouts on both sides of the rim. It doesn’t matter if you are right handed, left handed or ambidextrous, it’s the perfect fit for everyone! The lid comes with a silicone handle so it doesn’t heat up. The long and large ergonomic handle gives a firm grip and is designed for air flow to keep the handle cool even when the pan is hot. 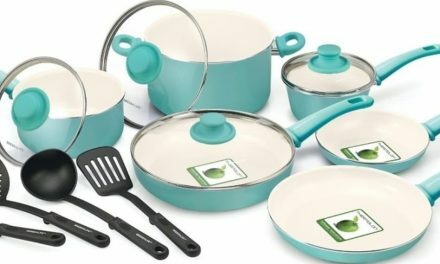 The saucepan is dishwasher and refrigerator safe and comes with a lifetime manufacturer guarantee with the promise of 100% refund if you’re not satisfied with the product. SPECIAL INTRODUCTORY PRICE! 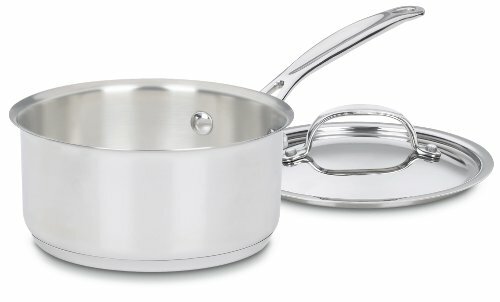 18/10 FOOD GRADE STAINLESS STEEL SAUCEPAN: 1.5 QT saucepan with lid. Special matte finish inside to prevent scratches over time and mirror finish outside for shiny and stylish look. Easy to read measurement marks inside. All-IN-ONE FUNCTION: Shatterproof glass cover with straining holes on both sides to strain pasta, noodles, vegetables and many more. Pour spouts on both sides of the rim for right and left handed. Silicone lid handle for safety! EVEN HEAT DISTRIBUTION: Specially constructed base with Aluminum encapsulation that avoids heat spots and distributes heat evenly, saving energy! Long & large ergonomic handle gives firm grip. Designed for air flow to keep handle cool even when the pan is hot. Double riveted for strong and life long use. Designed To Use With Gas, Electric Ceramic, Induction Cook Tops! GUARANTEED SATISFACTION: AVACRAFT is the most trusted emerging women driven brand! At AVACRAFT, we've always got your back! Buy the best, lifetime guarantee for the product bought from AVACRAFT with 100% refund! No matter which one of these pans you choose, you will find it to be the perfect match for your fudge making adventures. If I was to choose a single one from this list as the best pan for fudge, I would definitely go with the Avacraft saucepan, simply because of its versatility and intuitive design. 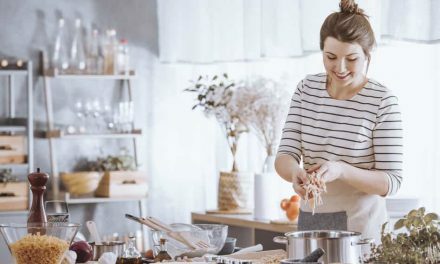 Although every single one of these saucepans can be considered extremely affordable as the best pans for making fudge, you can see which one fits your needs and budget perfectly and make the right choice. I hope this helps. Let me know how your next batch of fudge turned out with one of these selections in the comments below!